We offer nine bedrooms of accommodation located in the Main House, all carefully restored and decorated keeping in style with the building, yet offering the comforts of modern day. 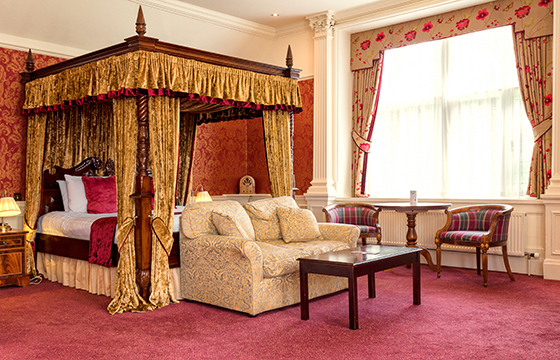 These suites combine period elegance and charm, and will make your stay here extra special! See below for more details about these bedrooms. 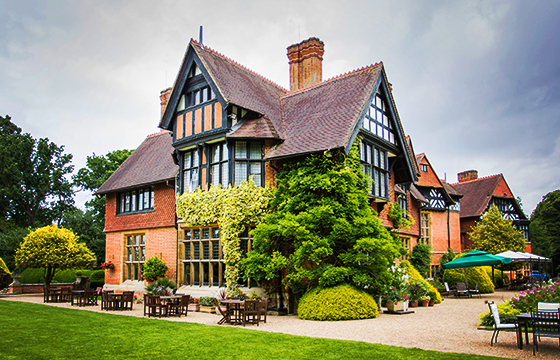 Please note; all rooms in the main house are on the first or second floor and are not serviced by a lift, for any queries regarding accessibility please contact the hotel reception. Master Suites, large room with double bed, view over the gardens and seating area within room. 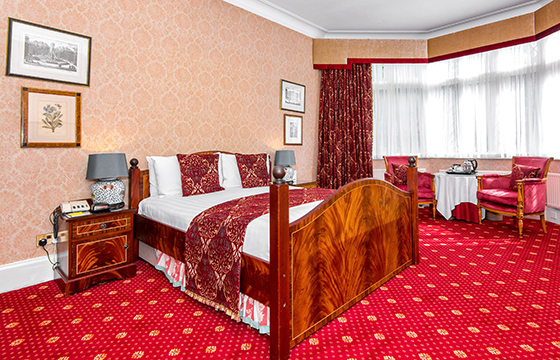 Period style room with double bed, limited access during functions. Period style room with double bed.